Large, very clean room. Furniture and beds in good condition. Ati the manager is very fluent in English. and takes her job very serious. We became friends quickly. I plan to book Atlas Motel the next time I am in the area. Room was very reasonably priced. Clean but very old. Needs some renovations. For a one night stay, it was fine. Had a fridge and microwave. Floors were not carpeted which was nice because there were no worries about bugs living in the carpets. 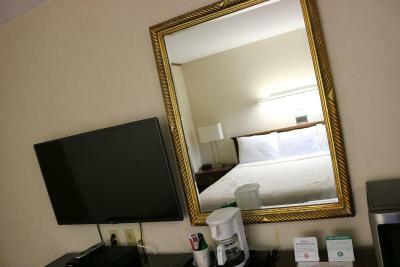 Everything in the room worked well: TV, WiFi, and AC. The owner told us all about all the restaurants in the area. 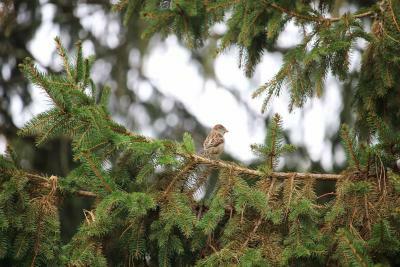 Will stay again if in the area. The room was small but immaculate. There was a good refrigerator/freezer and a microwave. The bed was comfortable enough and the air conditioning was cold. The staff was lovely -- really friendly and helpful. I love the proximity to the Walkway Over the Hudson. It was great to have a microwave, refrigerator, coffee making facilities and an adequate wardrobe. It is very close to some shops, fuel and restaurants. While close to a major road, there was very little noise in the room. Bed was very comfortable. 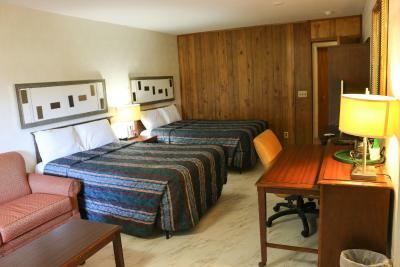 Staff was very pleasant and helpful Room spacious. Heat adequate. 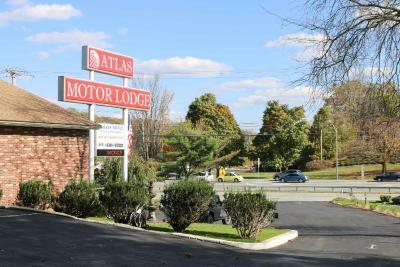 Atlas Motor Lodge This rating is a reflection of how the property compares to the industry standard when it comes to price, facilities and services available. It's based on a self-evaluation by the property. Use this rating to help choose your stay! 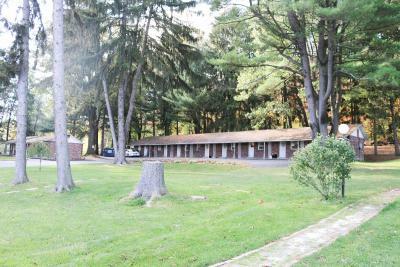 Just 1 miles from the Walkway Over the Hudson State Historic Park, this motel features free Wi-Fi and free local and long distance calling. 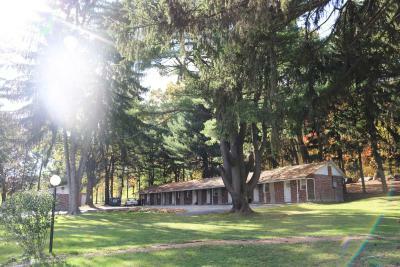 Marist College is a 10 minute drive from the lodge. 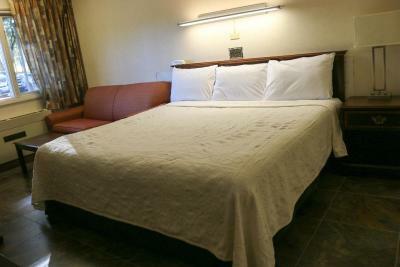 The Atlas Motor Lodge provides rooms with a cable TV with HBO channels. 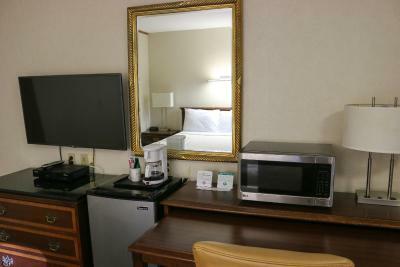 The simply furnished rooms also have a microwave and refrigerator for guest convenience. 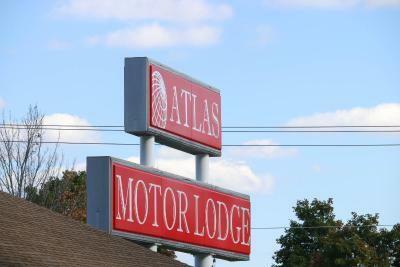 The Motor Lodge Atlas provides 24-hour front desk services and offers smoking and non- smoking rooms. 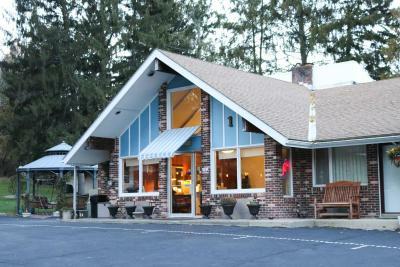 The motel is within easy access to public transportation, with the Poughkeepsie Amtrak and Metro North train station just a 7 minute drive away. 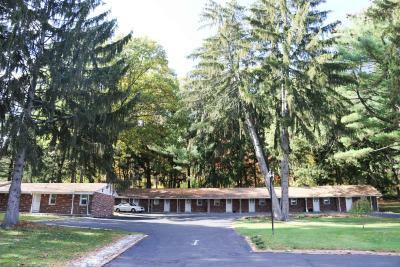 State University of New York at New Paltz is 10 miles from the motel. Apple Green’s Golf Course is a 13 minute drive. 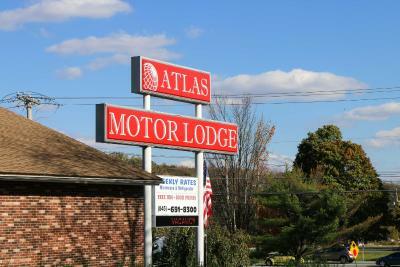 When would you like to stay at Atlas Motor Lodge? 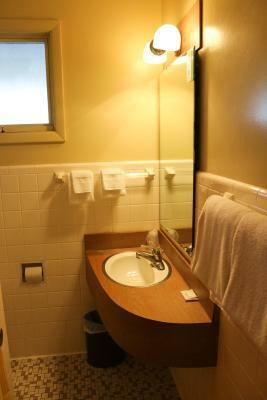 This room offers a cable TV, microwave, and refrigerator. 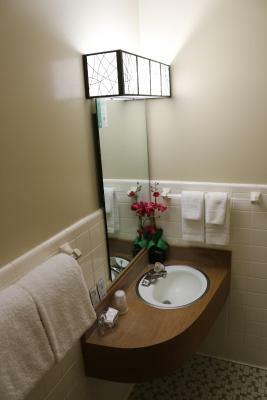 House Rules Atlas Motor Lodge takes special requests – add in the next step! Atlas Motor Lodge accepts these cards and reserves the right to temporarily hold an amount prior to arrival. For check-in, photo identification and a credit card are required. 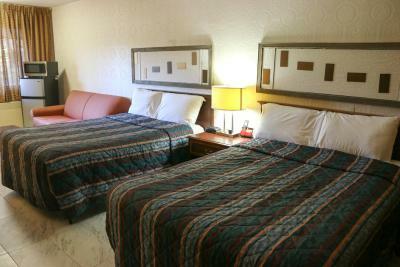 All special requests are subject to availability at check-in. 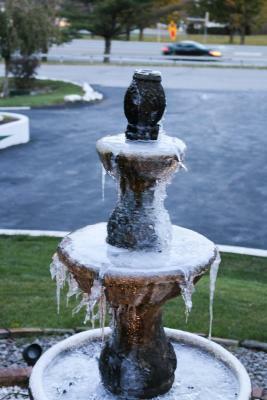 Special requests cannot be guaranteed and may be subject to additional charges. Every thing was good. 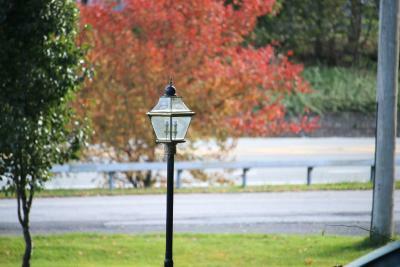 Even 1/4 mile from a diner and 1/2 from the Walkers Bridge across the Hudson. 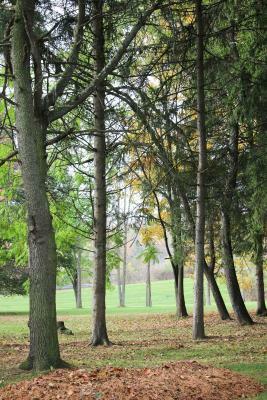 What a wonderful walk. Room had no heat except for small plug in heater. Shower door nearly fell off when I tried to close it. Room was very small but clean. Only had one emergency exit. Not safe. Cracks in walls covered with packing tape. A good replastering would have been better. Motel staff called us three times- first checking when we arriving, and two more times why we are not there which was pretty annoying. 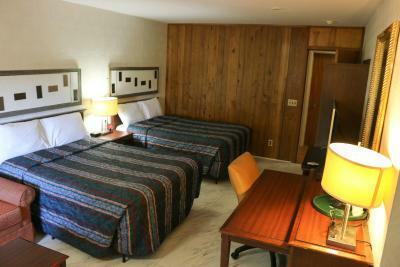 There was no condition in reservation that we had to be in motel by certain time. The room was incredibly small -- barely enough room to move around in. If I were staying in the area for more than a night or two, I would find other accommodations. Also, the room we were in opened pretty much right into the lobby, which was disconcerting. The bathroom window didn't lock. Toilet was clogged but staff attended to it quickly. Our bed was a bit soft as we prefer hard beds. Very welcoming staff. Very clean room.